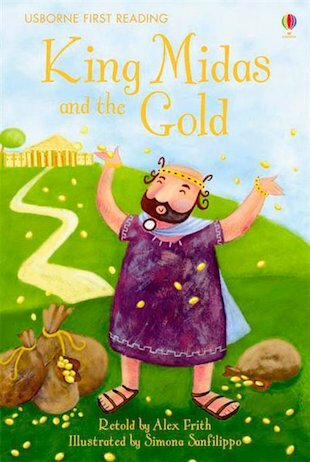 King Midas loves gold. But it’s not long before his greed gets him into trouble… Based on the famous Greek myth, this lovely little book retells a classic story in rich, vibrant artwork and carefully levelled text. Presented in a hardback gift edition with a ribbon marker, it supports Level One of the Usborne First Reading series, for beginners who are just starting to read alone.